When it comes to BBQ restaurants in Arlington and the surrounding area, Texas Jack’s is one of the best options out there. Our goal is to provide each and every one of our patrons with the ultimate barbecue experience and we take that goal pretty seriously. The good news is that it’s easy to take something seriously when it’s so darned delicious! 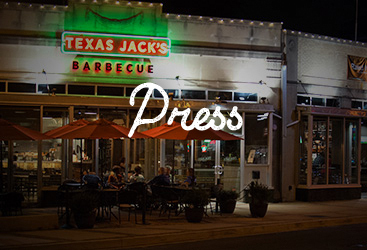 But what is it that makes Texas Jack’s the best place to grab some barbecue? As a matter of fact that’s the topic of today’s blog. If you’ve been craving some of the good stuff then keep reading to learn about why you should give Texas Jack’s a try! In addition to providing our patrons with the best BBQ in Arlington, did you know that The Washington Post named us the #1 barbecue join in the DC area? We consider that to be quite an honor! We’ve worked hard to hone our craft over the years and whether you’re in the mood for brisket, ribs, or a fried chicken sandwich, we think you’ll love the food we offer. 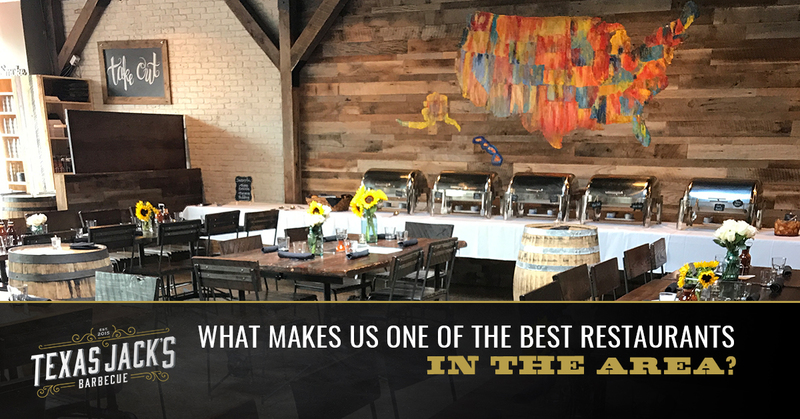 Whether you’re coming in to eat at our restaurant or ordering online for pickup or delivery, we think you’ll agree that ours is the best barbecue restaurant around. 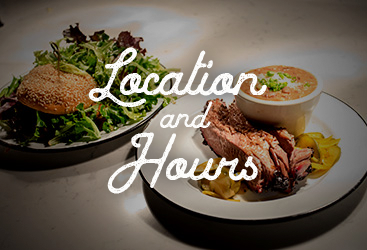 Are You Looking for Restaurants That Cater in Arlington? When it comes to barbecue catering, we’re glad to make it easy to order catering online! No matter the event you have planned, we think that your entire party should eat well. Whether it’s business catering for a working lunch at the office or providing the food for a wedding reception you can enjoy the best of the best, and you deserve to! At Texas Jack’s, we love parties! Regardless of the occasion we think that eating well just adds to the atmosphere and causes people to have a good time. 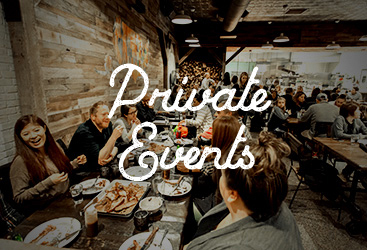 We’d love nothing more than to provide your next big event with the food you need to make it a success. At the end of the day our goal is to provide our customers with good food in the way that works best for them. Whether that means coming in with your friends for a good drink and the best barbecue on a weeknight, ordering some food on the weekend and having it delivered to your house, or having us cater your next event, we think you’ll absolutely love the food at Texas Jack’s. With a menu that includes local favorites like french fries with queso, beef brisket, and our Two-Door ‘87 Cutlass Supreme Nachos, there’s something delicious for you no matter what you’re in the mood for. As we mentioned above, we want to ensure that our patrons have the ultimate barbecue experience. We’ll bring the food and you bring the fun. It doesn’t get much better than that! Stop in today to enjoy some of the best food in the area or contact us today to inquire about catering. We look forward to hearing from you!